The index opened flat to positive but dipped to the lows of the day around 7838 only to see the buyer back in action to move the index back in green and close strong at 7887.80, gain of 21.75 points. The broader market was flat with 757 advances to 778 declines. Range for the series is at 7600-8100. Call option 8000-8200 added 6.64 lacs OI with short covering at 7900 and below strike prices. Put option 8100-7600 added huge 20.31 lacs OI with profit booking at 7500 and below strike prices. 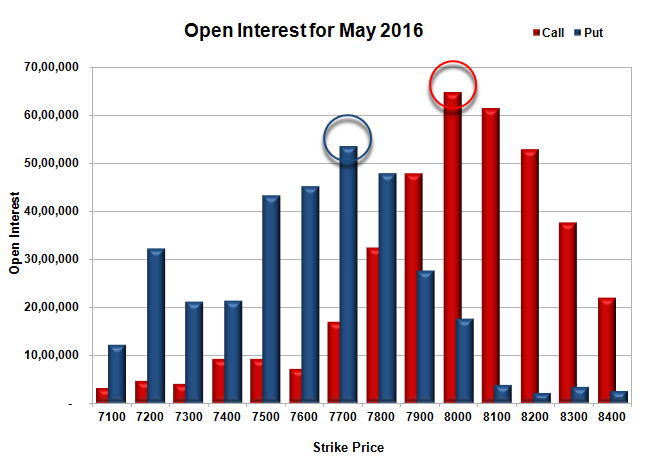 Nifty Open Interest is at 1,84,83,450 up by 2,64,975, with increase in price, most probably long build-up. 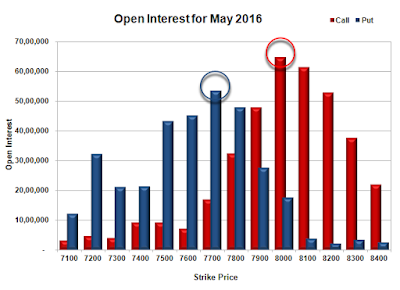 Bank Nifty Open Interest is at 16,79,640 up by 1,710, with increase in price, most probably long build-up. FII’s sold 6450 contracts of Index Futures, which includes net 2472 contracts long liquidation and 3978 contracts short build-up, with increase in net OI by 1506 contracts, includes 16192 longs to 22642 shorts for the day. FII’s Index future open contract as on date is 146525 Longs to 95023 Shorts, Net 51502 down by 6450 contracts. 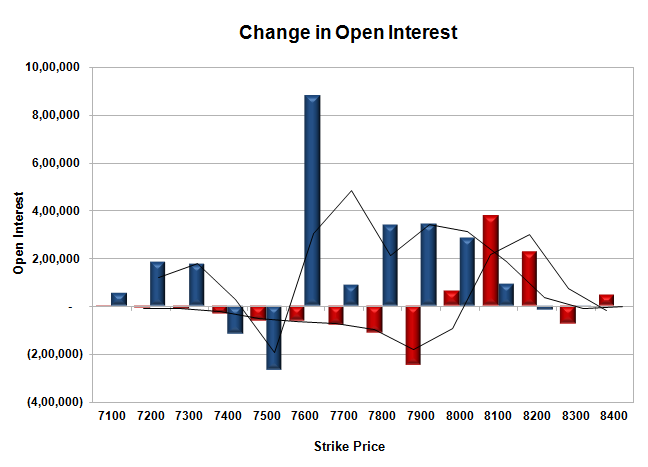 Initial support at 7800, with OI of 47.86 lacs and below that at 7700 with OI of 53.51 lacs. 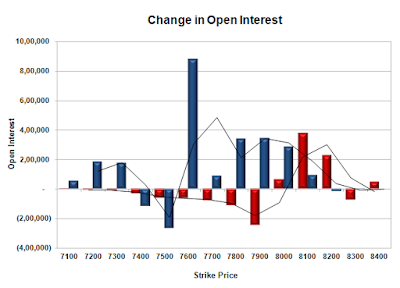 Initial resistance stays at 7900, with OI of 47.98 lacs and above that at 8000 with highest OI of 64.87 lacs. 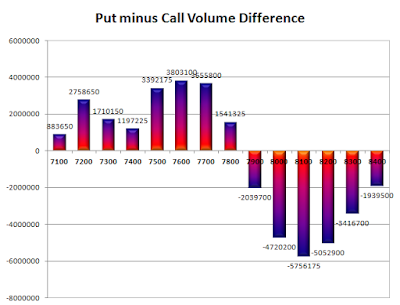 Day Range as per Option Table is 7811 - 7944 and as per VIX is 7820 - 7956 with 7874 as the Pivot.